Sound does not make any sense? 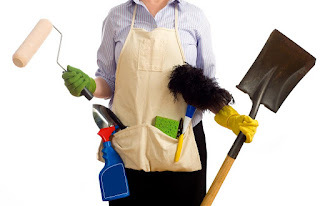 If your house is in order before the domestic cleaner arrives, she will have more time to do a dirt job and even do some extra deep cleaning! Part time maids cleaner are not mind readers and they will not know that you want things to be done in a your way. Get them informed on your priorities and expectations. They will do the best when they know what you need! – Good quality cleaning products and equipment. If you want a quality job get done, you will need to provide tools, equipments and a good vacuum cleaner. With these preparation, the required job will be done in a very efficient and quicker to be completed. – Extra Hours. To achieve a greet job, your house cleaner will need time. Make sure you arrange enough hours with her so the end result is great than our expectation! If your house cleaner proves to be unreliable, ask for change another person. Don’t hesitate to inform to us as unreliable cleaners attitude will not change; instead of getting weekly headaches, we will look for someone that will take their job seriously!